If your business is focused on serving local customers, one of your concerns is how to use online marketing to reach these potential, current and past customers effectively without wasting money. Local online marketing which combines digital elements such as Google Search, maps, social media, and more with your digital footprint which consists of your website and social media presence, is complex and changes often. This complexity and rate of change in the local search space is not only extremely frustrating to you but also a drain on your resources of time and money. To get started, we can perform a quick local online marketing audit and 30 minute consultation for you concerning your business. For this audit to work, you’ll need to provide basic non-confidential information about your business, a brief history of your digital efforts, your pain points and what your goals and objectives are. With this information we’ll do a quick local online marketing audit of your business, your competitors and the digital media landscape as it applies to your business. After the audit, we provide you with a 30 minute consult in which we review the findings and make recommendations concerning how you can improve your local online marketing efforts. For a limited time, we are offering the quick local online marketing audit and 30 minute consultation for free. Learn more about this quick local online marketing audit and 30 minute consultation. While we conduct the quick audit of your business, please visit our understanding local online marketing page. This will provide you an overview of the local online marketing environment so that you can make an informed decision concerning the topic. If after the initial consult you decide to do business with us, there are several areas in which we can provide services to you and your business. In most cases, we will require an online marketing audit of your business and the digital media landscape as its applicable to your business and an analysis of your competitors. This plan will form the foundation for all of the other online marketing services we offer. The reason being is that it’s essential your business has its foundational issues in order before proceeding to more complex services. First, the in-depth holistic online marketing audit of your business and the digital media landscape as its applicable to your business and an analysis of your competitors. The end results of this will be the online measurement and marketing action plan. The action plan will proceed with fixing foundational issues such as claiming and cleaning citations, making sure your Google assets are in order such as your Google My Business listing, making sure your website meets today’s standards and is usable by your audience and more. In addition, we will setup your online measurement mechanisms so you’ll know whether the online marketing plan is paying off. This in-depth holistic audit will use many of the findings from the quick local online marketing audit and build upon them. This will save you some money! Second, local online advertising using Google Adwords. If you’ve ever searched Google, browsed on one of the many partners websites that are part of the Google Ad Network or visited YouTube, you’ve seen Adword ads. These are a form of paid advertising which can be used to connect with your audience at the right time and right place. Most importantly these ads can be targeted locally. While an extremely powerful tool for retaining and generating business, Adwords needs careful setup and management so that it works for you. In addition, your digital infrastructure such as your business’s website must be ready to accept the traffic from Adwords and Google Analytics must be setup and configured correctly otherwise the effort will be in vain. Always remember that with Adwords you are paying for advertising which must result in some measurable action you desire. Third, social media usage analysis and management. Social media can be very useful for engaging with customers and building your audience. Whether it translates into a valuable use of your time and money is another matter. We can offer you insights concerning your social media efforts and provide training using a powerful yet inexpensive tool called Hootsuite which allows you to manage and make the most out of your social media efforts. Finally, help your business harness the power of Google to be more successful. Google offers a vast array of low cost and/or free resources that can not only help you compete better against your competitors such as with Adwords, but also to collaborate and complete tasks less expensively such as with Google Apps. In summary, you can use our experience to help you navigate and make productive use of your local online marketing efforts. 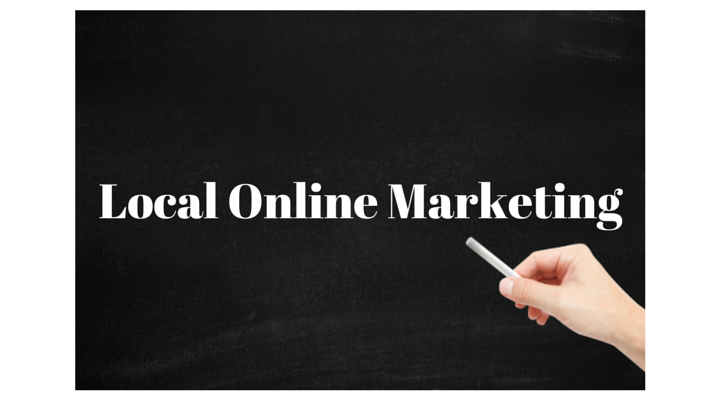 To get started, visit the quick local online marketing audit and 30 minute consultation page.